Sparkle, shimmer and shine don't miss your chance to win giveaway 29! The Double Dot collections and ranges are perfect for all your cardstock needs! Today we are featuring our Double Dot which is beautiful quality cardstock with complete variety of designs that can help give your project that special "oomph". I gathered a number of coordinating papers to my photo to begin. I used a mask and some modeling paste, then added some spray mist splatters to accentuate the colors in my photo and on the background Double Dot. I cut several die cut elements from a variety of Double Dot papers and layered them with a bit of cheesecloth for more texture. 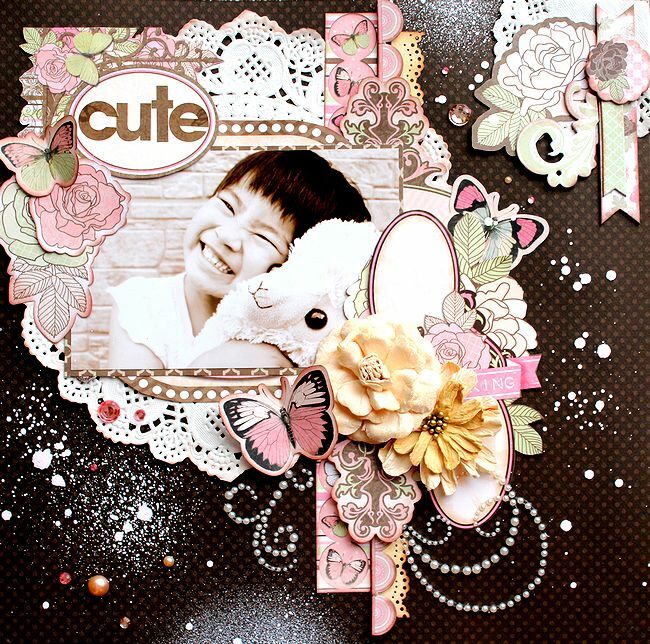 A few embellishments from the Pop Quiz collection helped pull my page together. Double Dot comes in different designs and an awesome array of colors! I chose autumnal tones from the vintage range and plain Double Dot and used both sides of the papers - polka dots for the base of my layout and the shabby vintage look to mount my journalling block. For the scalloped borders I chose to use the plain side. Our gorgeous wee man Dougal. I've inked around the edges and randomly added BoBunny stamps to create my background. I like to journal on a layout, whether its hidden for a personal note or in full view. A double layout is a really easy way of telling your story, or in this case the loveable things about Dougal & using your own handwriting is a great way of including YOU! In the layout for generations to look back on. It may not be perfect - mines not quite straight - but that's not what its about! Doodling along the scalloped borders adds definition, preventing them from disappearing in quite a layered cluster. Layers, layers layers! 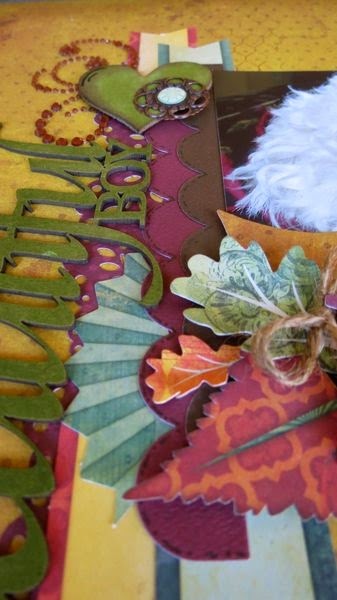 Some leaves are cut from Double Dot, others from the Noteworthy range, and all either left flat or layered with chipboard, giving oodles of dimension. A little faux sewing along the dog collar ties all the doodling together. I used a brown double dot and Primrose collection for my assignment. I think that the combination of brown and pink, pearls, and a lace paper match well. The Double Dot paper has firm thickness, it does not wave even if applied the mist. Love this giveaway! My fav so far! I would use these gorgeous products on some pages about my beautiful little sisiter! beautiful layouts, I would love to create with this!!! I would use this for my card making. Thanks for the chance. Beautiful layouts - always in awe of the inspiration. Thanks for the chance to win - never have enough card making supplies. All gorgeous layouts. I hoard my double dot because I love it so much. Beautiful paper and jewels - would love to use them to scrap my granddaughter dancing. Love to add jewels on my cards!! These would be used on my greeting cards. Very pretty and elegant. Neat layouts! Still hoping to win!!! Always love the jewels too! I would use these products for my card/tag making. Thanks! And those bling blings in the prize package are soooooo right up my alley. A little bling never hurts. 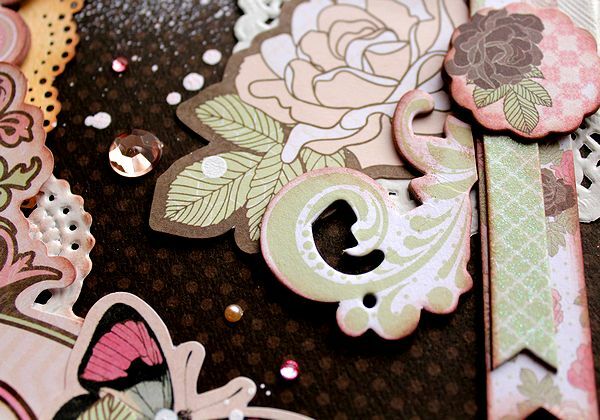 I love to use the jewels on cards and layouts, love the sparkly swirls. Those natural colors ARE a necessity, whether it be for cards or scrapping. I like to use jewels on cards...everyone seems to love them and they add such a nice touch! You can even cut them apart to make them go farther. 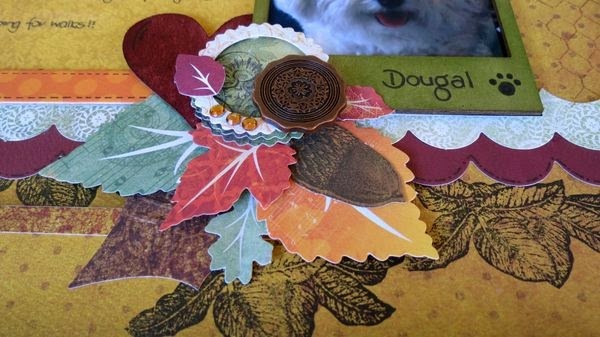 I would love to win this to make some beautiful fall cards! These would definitely be card-making goodies!! Gorgeous Layouts!!! would love to win!! Wow, such creative and beautiful layouts. I would use these products on a couple of scrapbook pages I'm working on and also for making some diecut embellishments. Thank you, BoBunny, for the chance to win! LOVE double dot and the rhinestone swirls! 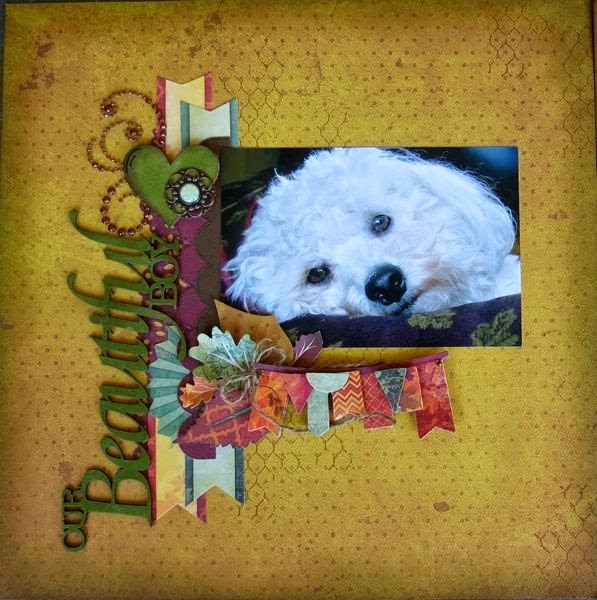 I frequently use the swirls on my scrapbook pages! Ooooo I'm seeing DOTS!!! I would do all sorts of fun stuff with this great paper and the swirly bling I love to adorn album covers and layouts. Thanks for another great day of fun and awesome inspiration! Beautiful layouts, LOVE the dots. I would use today's prize for making cards. These products would be fab on some cards! The 6x6 paper pad are great for mini albums. I love the colors of the school zone layout. These layouts using the double dot papers are gorgeous. Love Rhonda's and how she used the misting and modeling paste. I love using bling on my layouts and cards. The gems would look great on my little princess (granddaughters) scrapbook pages. 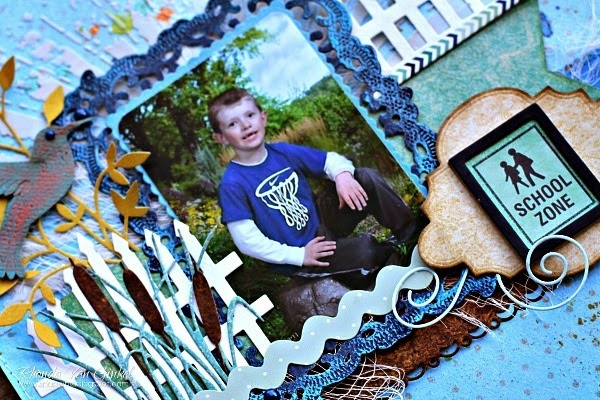 I would use these items to make cards and put some in my scrap-booking to add some pizazz! Pretty bling! I would make some girly layouts of my daughter. This collection would make beautiful cards. Stunning layouts! Love your double dot collection! I think I'd have to make layouts with the gorgeous bling. I always get some amazing inspiration from this blog! Double dots are a fave of mine, too! 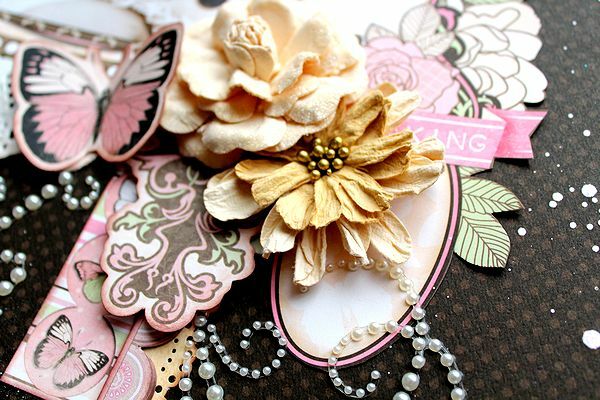 I would make cards or scrapbook pages with these pretty goodies! These would look great on my cards. I would make layouts and home decor. Gorgeous layouts! Today's products would make such a cute mini album with all the bling, and of course some Bo Bunny flowers and trim thrown in. What a fabulous, generous give away!!! Thank you so much for a chance to win. I love double-dots and have been using the papers since they first came out---yeeeeears ago! What would I do with a great give away of papers and bling? 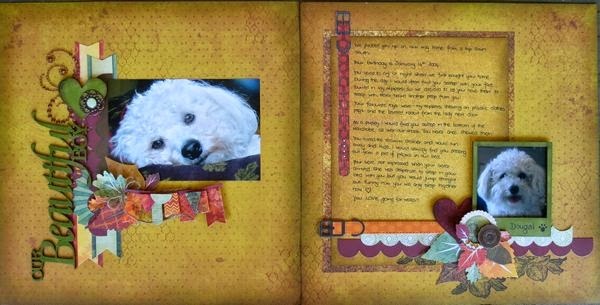 Make a theme album using all the great materials :-) Thanks! LOVE the double dot papers! Perfect for making cards and ATCs! Love the colors! 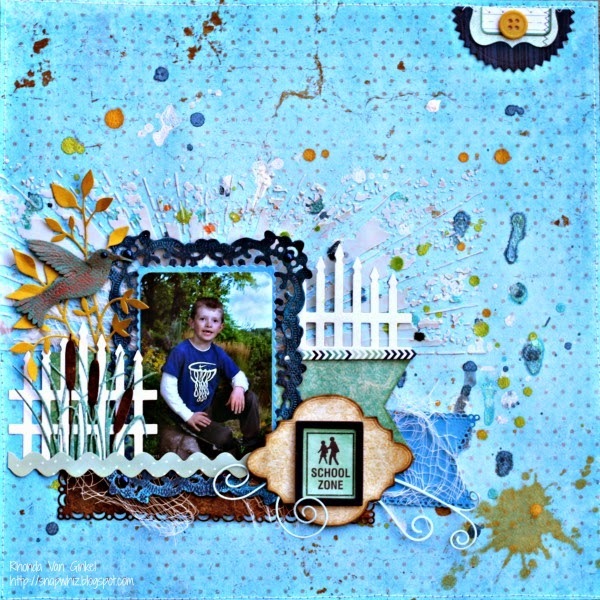 So many ideas for how to use the gems- printer's tray layout, princess scrapbook pages, canvas art gifts, and on and on. Thank you for the opportunity! Beautiful, inspirational ideas! Love the double dot papers! Love this! Would be great on my cards! Beautiful layouts! I love using the dotted cardstock for layouts and cards and even altered projects. Fabulous layouts and totally loving the bling!!! The jewels and Natural Necessities would work wonderfully on my layouts and cards! Gorgeous layouts! I love the colours in this give away, I'd love to use them for my male cards! Great inspiration! Love this giveaway! Thanks for the chance to win! All the layouts are so beautiful. I LOVE LOVE LOVE these colors and the extras too!!! 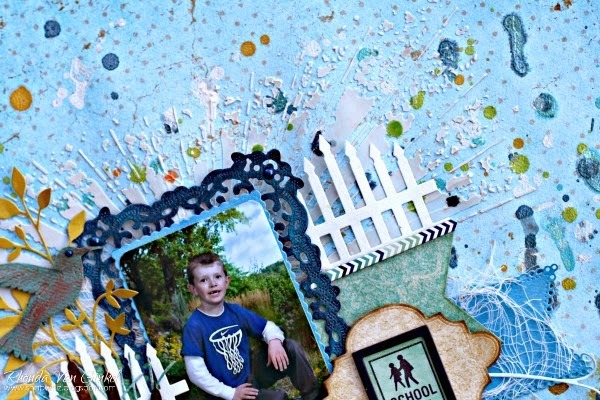 I am into making altered tags and cards as well as scrap-booking, and this would be so perfect for all of them. You all always surprise me with the next great thing you come up with!!! Great Giveaway!!! Thanks for always being AWESOME!! Bo Bunny and the gang ROCKS!!! Double Dot is such a wonderfully subtly distressed paper, I use it for backgrounds, flowers as well as matting. I love that they 'colour' interchange with all the individual patterned papers, regardless of the line or theme. 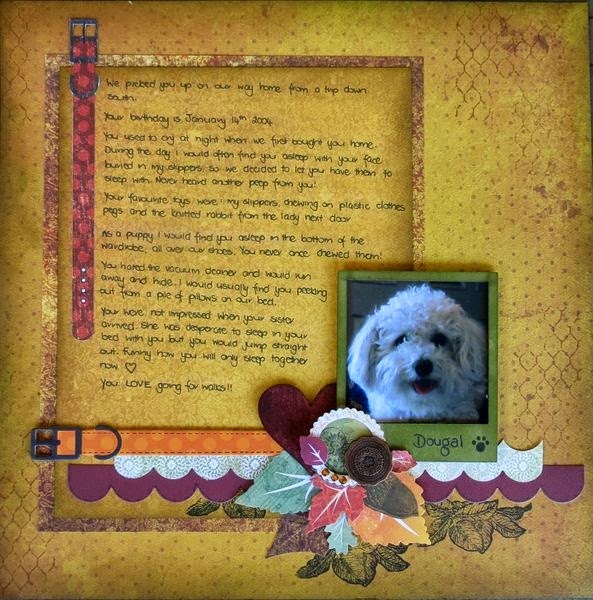 love the colours of the 6 x 6 pad and the embellies are beautiful.